Why do musicians and other artists, have such a negative view of work? The Reformers had a lot to say about it and yet although they have greatly influenced the world (ever heard of the Protestant Work Ethic?) they had a better balanced view of it than we hold today. 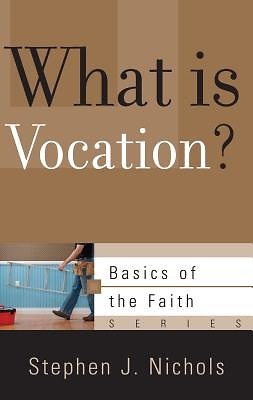 They preferred a different word for work - vocation. It means 'calling', and fills the notion of work with purpose, meaning, fulfillment, dignity, and even happiness. In the hands of the Reformers work transformed, or was re-formed, back to a place and a position God intended it to have. Today, for many, work has become a lesser god. If you want to bring it back into focus as it should be then let Stephen Nichols help.